San Jose police are searching for a car and driver suspected in a hit and run that injured a 12-year-old girl Tuesday morning, according to police. Thom Jensen reports. San Jose police are searching for a car and driver suspected in a hit and run that injured a 12-year-old girl Tuesday morning, according to police. At about 8:50 a.m., San Jose officers responded to a vehicle vs. pedestrian collision at North 17th and East Julian streets, police said. Surveillance footage provided by a resident shows the victim crossing the street and the vehicle making a left turn onto 17th Street and striking the girl. The vehicle, described as a 1998 to early 2000 brown 4-door Toyota Camry, fled the scene. It was last seen traveling northbound on North 17th Street, police said. The girl was taken to a local hospital with injuries not considered life-threatening, police said. 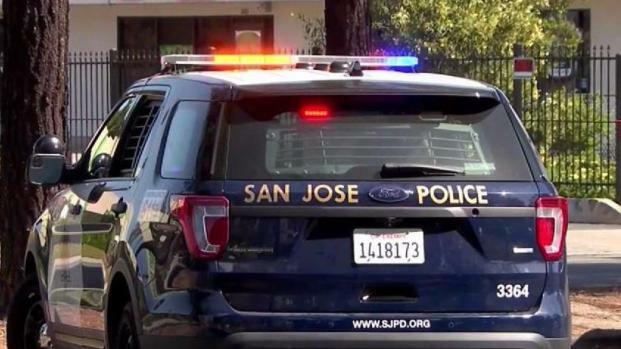 San Jose police were searching for a car and driver suspected in a hit and run that injured a 12-year-old girl Tuesday morning, according to the police. The driver is described as a white female, 40 to 50 years-old with brown hair.